We Design,Develop & Optimise Websites That Showcase Your BusinessServices Check out our options and features included. I Cash Technology is a pioneer in the Website Design, Software Development and IT services. It has expertise itself in providing series of IT solutions and catering to varied clientage at economical cost. 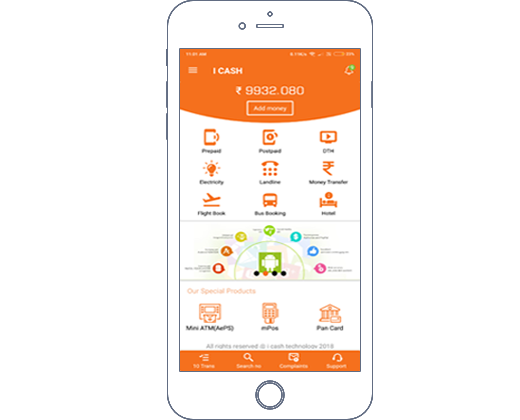 A Pune based Company called I Cash Technology is web design & web developing company that is specialized in web portal development. This system of doing business is gaining importance in this net savvy world. We have best e-commerce web experts in pune who will design.. I Cash Technology B2B and B2C online portal offers only the very best through the latest software and technology. Bharat Bill Payment System eases the payment of bills cash to electronic payment system and improves the security & speed of bill pay. your money will reach its destination with no hassles. Our customer service team works round-the-clock to ensure you have an enhanced experience transferring money online. I Cash brings to you the convenience of recharges all your mobile dth postpaid recharges from your mobile! You can now recharge your mobile, dth. Our online web based application of bus booking API allows the travel agents can search for plans, seat layout, book tickets, cancel and reports for both booking and cancellations. the travel agents to interact with your web application means the travel agents can utilize our web based system to transpire the travel related needs of their customers effectively. We as best website designing firm in India utilize the quality procees to guarantee the delivery of site to our customers including great planing, planning and testing. The greater part of our time goes in comprehension your business destinations and after that characterizing the issue lastly plan the best website design for your organization. Website designing is an art of converting your requirements into a design that will act as a path between your business objectives and your target customers. If we wish to grow our relationship with our clients, and be viewed more as partners than subordinates, we need to provide the level of value commensurate of a partner and help our clients understand better. Our clients are your business — so a key part of being successful is cultivating a healthy relationship with them. This list will help guide you as you develop and maintain the relationships that will allow Our business to thrive.